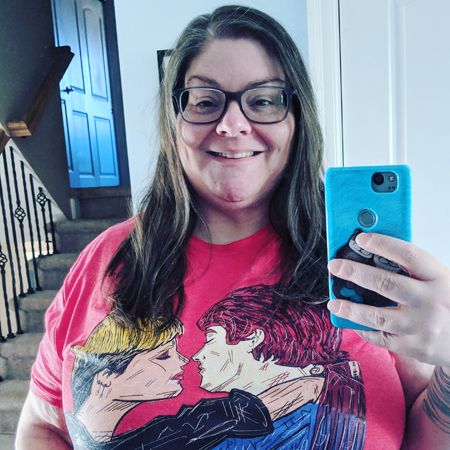 My new favorite t-shirt, featuring a classic cinematic kiss: Watts and Keith in Some Kind of Wonderful. I got it at TeePublic, where it's currently on sale for $14! And I love that the art captures the moment just before the kiss, which is perfect. I can hear the soundtrack in my head every time I look at it. GLASS CRASHING. DRUMS. CYMBAL. The first kiss lasts forever / She loves me... Swoon.